History is laced with stories of the Newfoundland. The breed has been mentioned by name since the early 1700's. 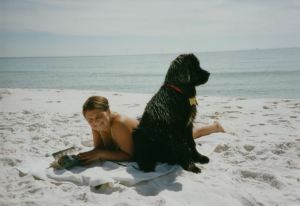 Beginning, with Leif Erickeson having a Newf named Ooum, on board as he sailed the high seas, in 1731. History is filled with rich accounts of heroism. 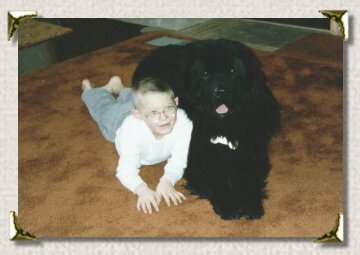 Would the Battle Of Waterloo have taken place, had a Newf not saved drowning Napoleon, who fell overboard, not able to swim? 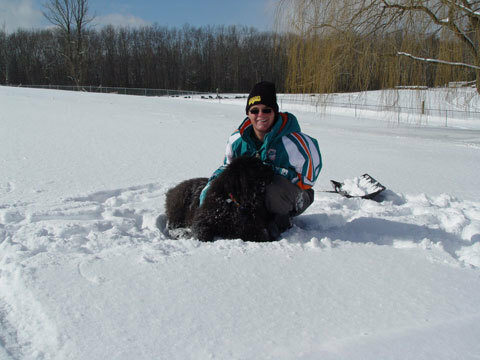 Captain Meriwether Lewis purchased Seaman, a Newfoundland dog, to accompany him on his quest to explore the Lousiana Territory, before hiring William Clark to join the expedition. 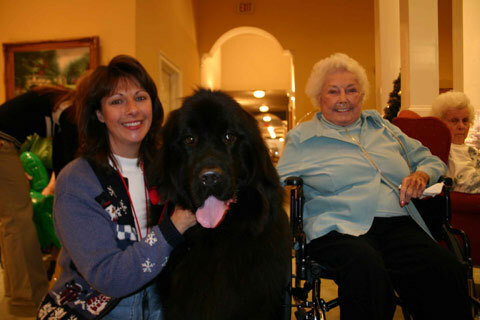 Have you seen the big leather collar of the Newf, who survived the tragic sinking of The Titanic? 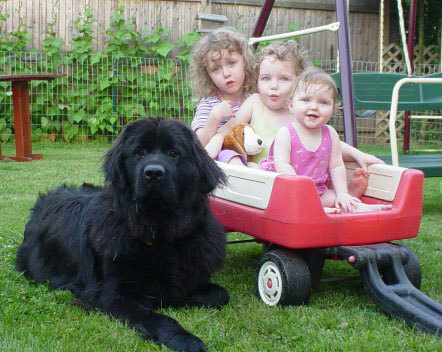 Throughout history Newfoundlands have been by the side of their human companions, doing whatever needing to be done. They were accustomed to dragging fishing nets and hauling freight. 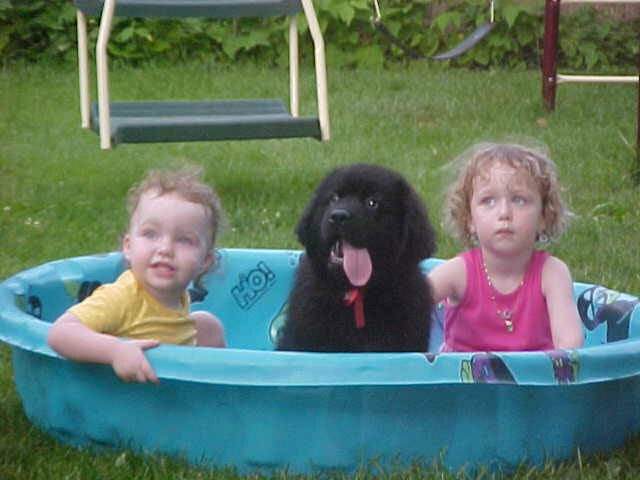 Newfies were highly valued for their life saving skills, with a strong swimming ability. They are known for their instinctive water rescue. 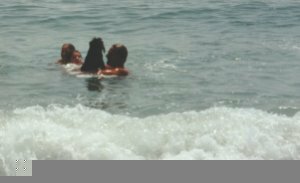 This gentle mouthed dog can grasp a drowning man's arm, tow him to shore, without even so much as bruising his arm. 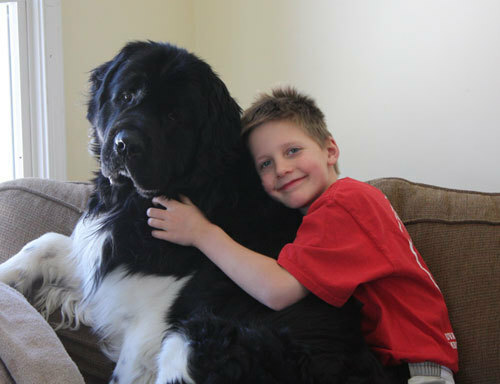 The Newf's God given gentle nature is their best quality. 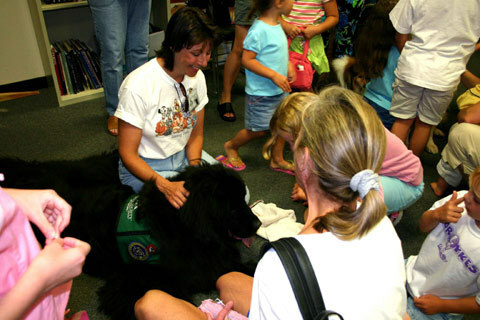 Their love for children is what they are most famous for, making them the ideal family member. They are not watchdogs, however, being large and having that deep throated bark makes them quite intimidating, if you don't know who they are. 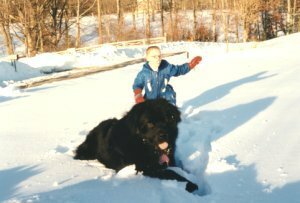 We at Nanny Newfs have our own Newf history, with each and every single one making an imprint in our lives. Filling us with more love, than we could ever possibly give in return.